Beneath the light of a full moon, the Nightbloods and Seers are dancing. They are dancing as they await another Awakening, a dream that defines every witch’s destiny. It doesn’t matter that the coven is cheering and anticipating her turn into womanhood, because Calli doesn’t want any of it. She doesn’t want to see the face of the hired hand Isaiah, nor does she desire the pursuits of a very determined Nightblood as she runs from a future with the Ordinary help. She knows that regardless of whether she taps into forbidden magic or not, an Awakening is rumored to hold ultimate power over the Seer who dreams it. While the other Seers her age are given to their parties, their enchantments, and the lust of Nightblood suitors, Calli must choose how she'll endure the worst of her visions. There may be a way to survive her sleep, but she's not sure she can defeat the truth that will find her when she’s wide awake. Seers and Nightbloods hide themselves from the world, practicing magic and calling upon both the angels and the underworld to provide justice to Ordinaries in The Short Life of Sparrows by Emm Cole. As Seers dream of horrible acts, the Nightbloods curse those who appear in them. Calli has reached the age of enlightenment, the age of her curse, and the dreams begin. Calli has just reached her eighteenth year. She's an orphan of sorts, being raised by her Aunt to avoid magic and the toll it takes. Calli is quite a rambunctious young woman with a blunt way of speaking and a mind of her own. She rarely listens to any advice, whether good or bad, and is quick to anger. Readers will enjoy her feisty attitude, her loyalty, and her determination. They will connect with her as she begins this unknown journey into adulthood as a Seer. Isaiah shares the role of narrator with Calli. He's an Ordinary who has been accepted to help out Calli's Aunt over the summer. He's a kind young man with a gentle heart, almost unbelievable with all he's been through as a poor orphan. Isaiah works hard, trying to avoid the Nightbloods while becoming friends with Calli and falling in love with her cousin. Readers will respect Isaiah and love his caring nature. 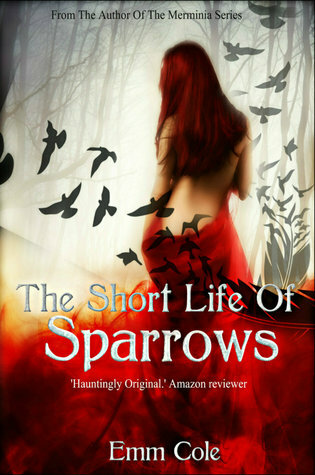 The Short Life of Sparrows begins with a celebration of Calli's awakening, where she dreams of running away from her home with Isaiah, the recently hired help. She is determined to never see that come true and tries everything in her power to change it. When Isaiah's feelings for Daphne are revealed, she thinks she is in the clear, but there is much more going on than what meets the eye. The coven has secrets and soon Calli finds herself falling for someone worse than Isaiah. Readers will be enchanted by this new world of magic and curses. All of the characters have great depth and various characteristics that will allow readers to connect with them. The novel is a collection of character journeys and readers will enjoy each one, though the bittersweet ending left a metallic, melancholic taste in my mouth.